/ Did Aborigines Create Global Warming In Australia? Hello, Coming Ice Age? 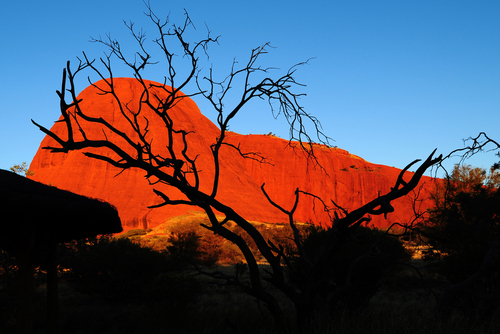 Did Aborigines Create Global Warming In Australia? Hello, Coming Ice Age? When we correlate that into our computer models, we come up with the mega-drought cycle as what takes place during an Ice Age. The winters are sharply colder and the summers are dry as well as shorter. This is also why we tend to be witnessing larger fires in California. We have to step back and look at it from a global perspective. There was also a clear volcanic origin for The Little Ice Age. The Little Ice Age was caused by the cooling effect of massive volcanic eruptions and sustained by changes in Arctic ice cover. There were a series of volcanic eruptions just before the year 1300 that lowered Arctic temperatures enough for ice sheets to expand. During this Little Ice Age, glaciers advanced in mountain valleys and actually destroyed many European settlements. 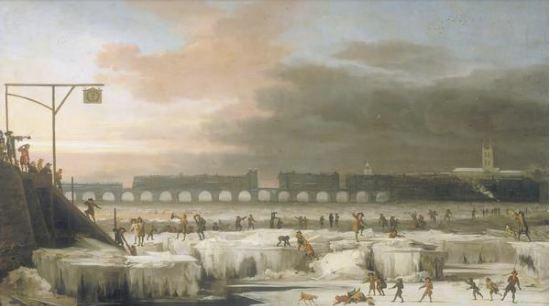 Paintings from the 1600s depict people ice skating on the Thames River in London like this one from showing the Frozen Thames in a painting by Abraham Hondius from 1677. Even the canals in Amsterdam were frozen. It remained cold for nearly 200 years. 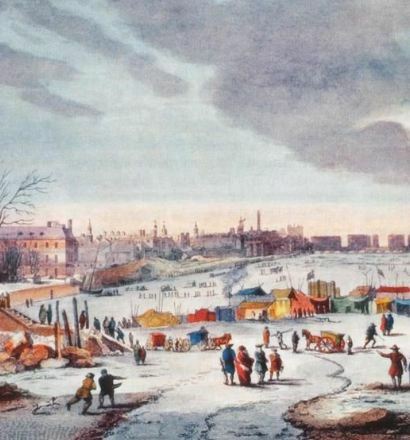 There were ice fairs into late 1600 as shown in this painting from 1683. However, the winters were brutal even into the late 17oos and early 1800s, although gradually warmer from the depths of the 1600 period. Thank God, global warming began from about 1600 onward. Places as far away as South America and China also saw much cooler temperatures. There are records that show it was cold even into northern Florida. On December 19, 1765, there was a historical report of a “white frost” that fell in the northern part of the British colony of East Florida “of short duration, and of no material detriment to the agricultural interests.” Then in 1774, there was a snowstorm that extended across much of the northern territory of Florida that they called an “extraordinary white rain” which corresponded to the severe winters that killed many soldiers during the American Revolution. 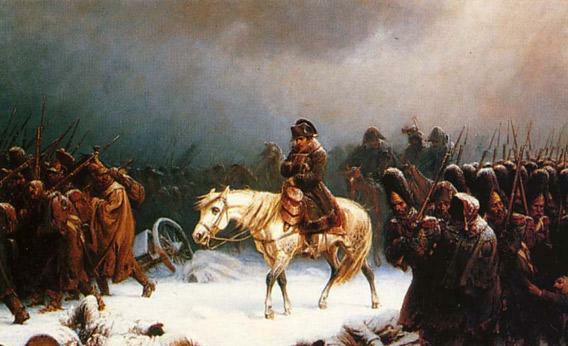 I have also written about how the cold defeated Napoleon. I have warned that volcanic activity correlates with solar minimum, in which we are headed since 2015. In fact, this has been the sharpest decline in the energy of the sun that we know of. It has been exceptionally declining since 2015, which was the peak of the Economic Confidence Model (ECM). Since the ECM was constructed from economic data, it is interesting how the cyclical nature of the economy aligns with Mother Nature herself. When we correlate everything, our findings of what actually took place are most interesting. There appears to have been a cycle of Solar Minimum which set off an unusual 50-year-long episode of four massive tropical volcanic eruptions, which perhaps triggered the Little Ice Age between 1275 and 1300 AD. There is evidence of volcanic eruptions during this period that appear to have set in motion a chain reaction that created a trend of lowering temperatures in the oceans and atmosphere for centuries. There are different competing theories behind the Little Ice Age: (1) a volcanic winter, noted by author Gifford Miller of the University of Colorado Boulder, (2) a decreased radiation from the sun noted in a January 2012 scientific study that was published in Geophysical Research Letters. When both of these are correlated, I do not see them as mutually exclusive. It appears that we enter Solar Minimum, which correlates to a rise in volcanic activity. The volcanoes throw up ash and block the sun which cools the oceans. Recent studies have shown that the process does take hundreds of years. In fact, Harvard has recently published that deep regions of the oceans are STILL getting colder to this day from The Little Ice Age. The bottom line simply implies that we will see drier summers, bigger droughts, and colder winters. 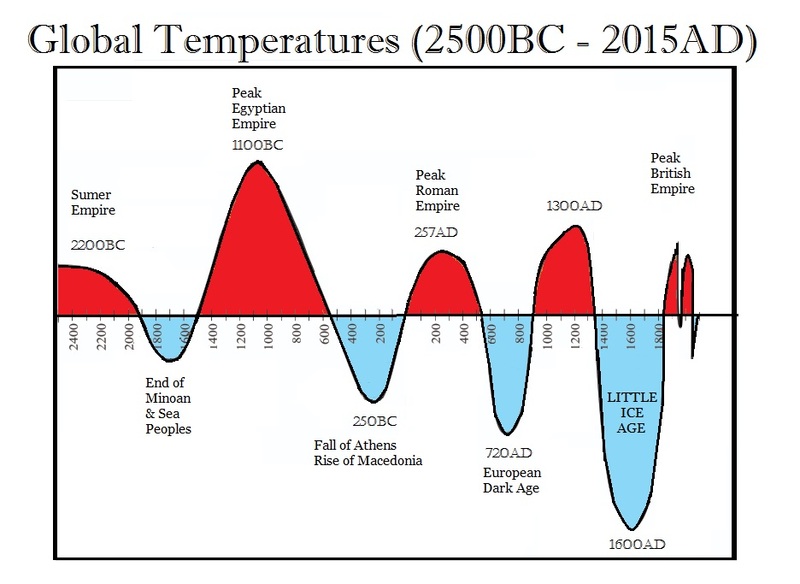 The temperature rise post-Little Ice Age did NOT exceed the peak of the medieval warming period and it never came close to the peak in temperatures that aided the rise of the Roman Empire or the rise of Egypt. This strongly suggests that we are heading toward much colder years ahead, but it does not appear that we will make lower lows than The Little Ice Age. It appears that we will retest those lows and then finally begin to warm AFTER the 2032 cycle ends.